We’ve spent the afternoon giving our website a little refresh….hope you like it! 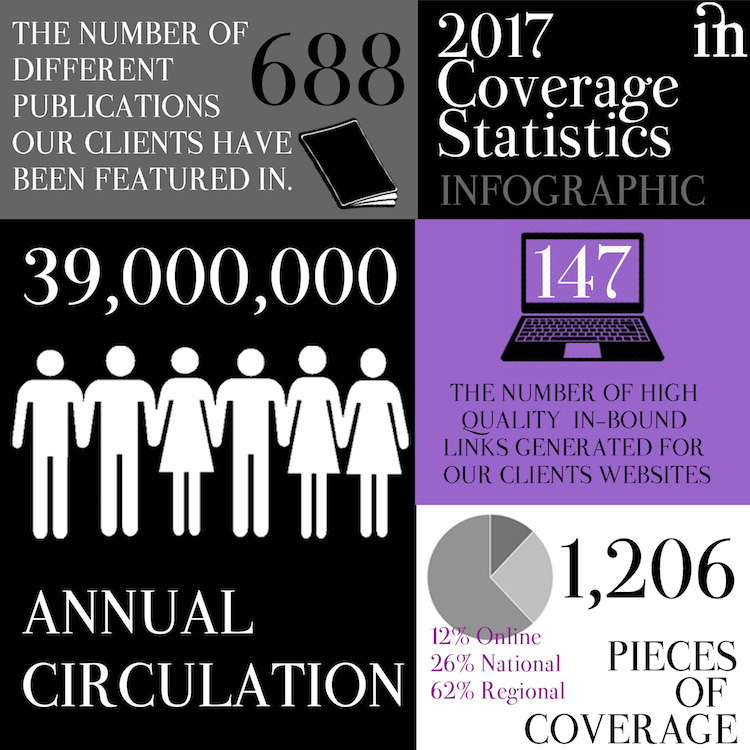 Something new is the addition of our 2017 Editorial Product Placement Infographic on our coverage page. Totally blown away with the figures for 2017. We have generated some AMAZING coverage for our clients.